WHEN GARRY LAMBERT was figuring out the core characteristics of his game-changing Small Wonder Series, I like to think that he intuitively latched on to an idea that – like so many innovative ideas before it – simply made sound sense. Form: diminutive. Function: genuine audiophile. Technology: fusion of analogue and digital. Application: the modern home. I like to think of him picturing the contemporary music fan in his stylish city apartment, and wondering what he could do to improve his musical fidelity and his aesthetic experience. And coming up with The Small Wonder, a bunch of matching components that should, if there’s any justice in this world, result in a whole new category of hi-fi, and a new generation of hi-fi appreciation. Am I too effusive in my praise? Does it all sound a bit overblown? Well, please excuse me. The thing is, they let me play with some pre-production samples, and I was allowed to keep them long enough to fall in love with them. So don’t accuse me of being effusive, or overblown, because love’s like that – love is inspirational. But before we get into The Small Wonder, a little background. Those of us who have been around the block a few times will remember Garry Lambert as the man behind Lambert speakers, a brand that held the Kiwi banner loud and proud during the ‘80s and ‘90s, and which was justly famed for its attention to high-end detail. I never owned a pair of Lambert speakers, but I remember what they sounded like from one experience in John Button’s little hi-fi store in Manners St in Wellington. John – whose ability as a hi-fi salesman sadly did not parallel his skills in the recording of symphony orchestras – demonstrated the Lamberts with a thunderous piece of classical music that just about took my head off, and for the first time on record (for this was still the vinyl era) I experienced that amazing beyond-description near-epiphany of a large orchestra in flight. Anyway, eventually Lambert speakers as a brand suspended activity, and Garry headed off on an overseas odyssey, where in various sound engineering roles, he learned the tricks that have ultimately led to The Small Wonder series, and his return to these shores. [We hope to cajole Garry into a Witchdoctor Q&A very soon, where he might fill in some detail on his fascinating career, and his thinking behind these products]. Now, it’s all a bit confusing because there’s actually quite a few components to think about, and my brain, plagued by the sleeplessness caused by having a screeching newborn in the house, has been turning ever so slowly. Consequently, it took a bit of thinking to figure out which part of the system was which. If I was Witchdoctor guru Ashley Kramer, I would have figured this all out in an instant. I wish I had that facility. [The brain, not the brawn]. Lambert’s Play It By Ear. Essentially, The Small Wonder series consists of several source modules, a set of speakers, and some useful add-ons. 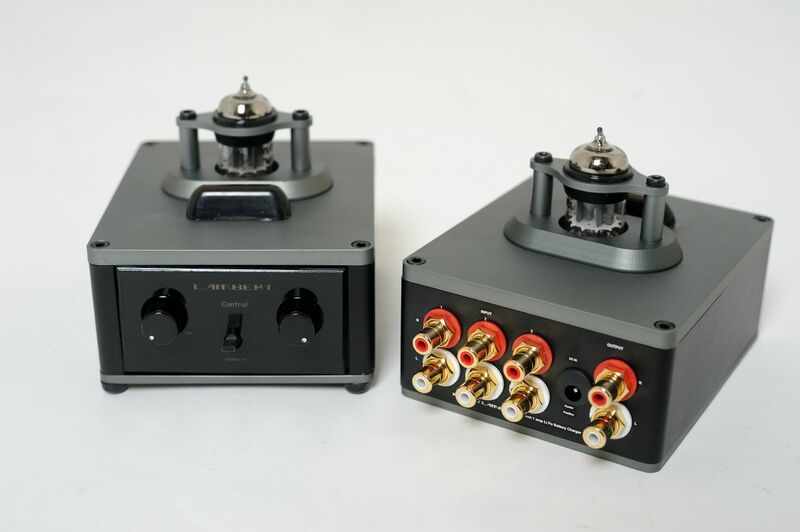 The Control pre-amplifier is used both as part of the smaller system using The Force power amp with The Last Word speakers and The Bottom Line subwoofer, or with The Full Force power amp, which is designed to pump its stuff through your own choice of full spectrum speaker stack. Then there’s the Play It By Ear headphone amp, The Cleaner (which removes AC white noise produced by radio frequencies through the wires), and the Uptight stand for The Last Word speakers. Let’s have a brief look at some of the main components, and save the longer reviews for forthcoming installments. Perhaps I was unjust in calling the Play It By Ear headphone amp ‘an accessory’ because, for many, this will be the main event, and it’s certainly the lead item on the crowd funding page, possibly because headphones are so damn popular at the moment, and therefore, dedicated headphone amps have become an increasingly important part of any system. The Lambert headphone amp is a pleasing and rather cute black box to match the other components both in size and design, and rave reviews have already been coming in from international audiophile press on this wee beaut. More on this next time! The Control pre-amp and The Force power amp. Match The Control preamplifier with The Force along with The Last Word speakers (fortified from the depths by The Bottom Line subwoofer), and you have the perfect high-end hi-fi system for a smallish environment, or alternatively, the coolest desktop system – or both. NZ pricing has yet to be confirmed, but the figures I heard rattling around make this possibly the best value system of its type on the market. Not that there’s anything quite like it on the market, but it seems to me that just about every ‘micro’ or ‘lifestyle’ system I’ve ever heard has been about compromise. There’s usually the sense that designers have been given a mandate to design a system of a particular size and told to make the best of a bad situation, which has led to some sonic innovation but never a true audiophile sound. I’d like to bet that the Lambert philosophy is quite opposite: that while the size of the boxes is diminutive, no compromises were required or desired. The thing is, Lambert has cannily selected the best of several worlds to get its enticing sound: The Force uses a superb Class D amp from Denmark, and The Control tempers the supra-digital nature of the power amp with a Russian-built vacuum tube. The final chain in this sonic solution is the aptly-named The Last Word speakers, which use a ribbon tweeter that produces some of the sweetest, most ethereal, almost 3D-like sounds I’ve ever heard from a small pair of speakers. There’s a whole lot I want to tell you about these speakers in a dedicated review, but this time, I’m trying to keep it brief. 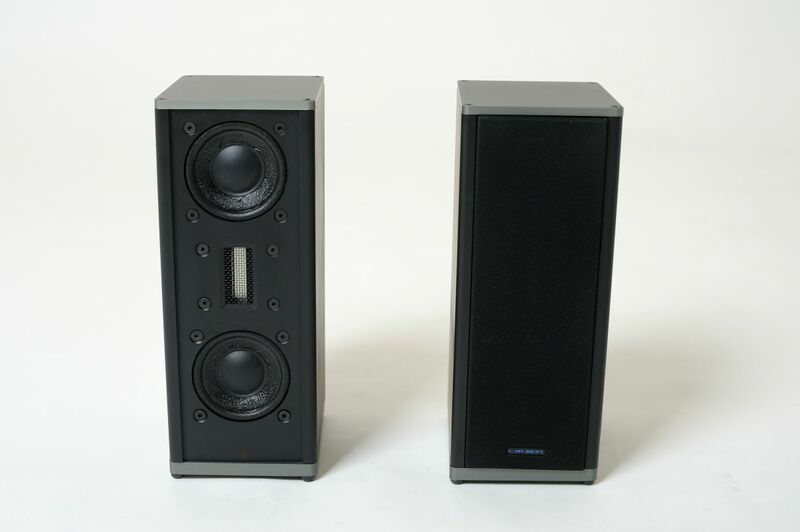 While the speakers have enough grunt to sound good on their own, unless you’re playing light classical or light jazz, not adding the low bass reinforcement of The Bottom Line. The Last Word speakers are small, remember, and that’s why the sub is part of a package deal from Lambert – the two are built to sing together. For those fools (like me) who think they need more than 50 watts of power, however, and want to drive their own speakers with Lambert sources, there’s The Full Force, which – despite its tiny form factor – pumps out a pile-driving 100 watts-plus. The idea is to bridge two of them and use them as mono-blocks to drive a pair of floor-standing speakers, and that’s exactly what I did while testing a pair of Martin Logan ElectroMotion ESL’s. Martin Logan isn’t the easiest brand to amp-match with, but they sounded out of this world with The Full Force. Essentially, all the characteristics of the hybrid electrostats (incredible sound stage, pin-point placement, forensic detail) were emphasised, while a lush sweetness was added to what can with the wrong amp sound a bit dry and sharp. * This is a general introduction to a forthcoming series of reviews specific to the different components that comprise The Small Wonder series. SO psyched to see you guys still covering GREAT stuff!